Nana Princess has been wowing guests since the five-star hotel opened its doors for the first time this June. The brand-new beachfront hotel is perfectly located for families on the north side of the island and boasts private pools in many of the suites, three restaurants, a white sandy beach and luxurious health club and spa. The ideal destination for adults and families alike, Nana Princess offers a variety of accommodation to suit every traveller’s needs. The waterfront Aqua Marine Suite, with its own heated outdoor whirlpool and private gym, provides a private escape for couples; whilst the Presidential Suite boasts three double bedrooms and is the perfect retreat for families and groups of friends. 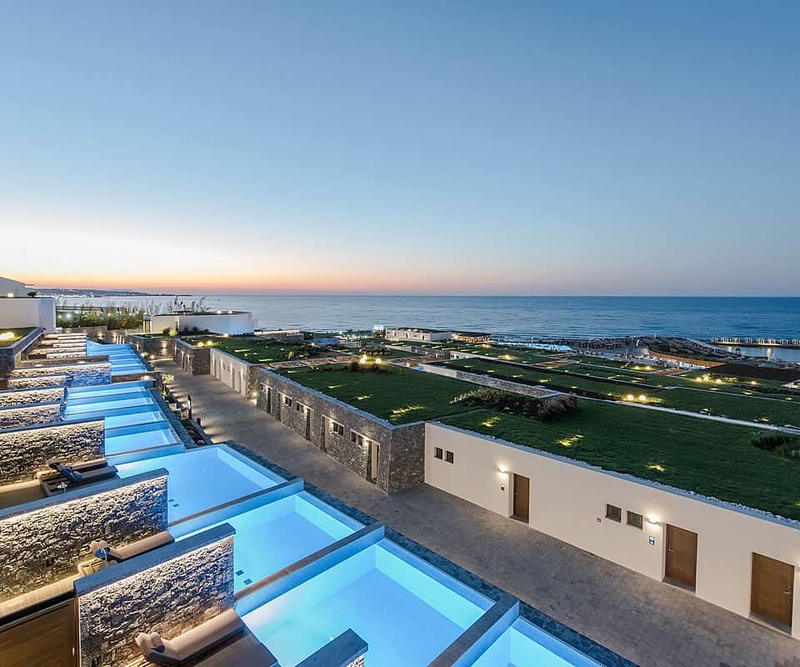 The Royal Wellness Club, the hotel’s ultra-luxe spa, offers 1,400 m² of unbeatable facilities, including an extensive wet area – the first of its kind in Greece. Guests can choose from a wide selection of targeted therapies and treatments, promising immediate and long-lasting results. Nana Princess rates start from €155 /£137 per person per night in a Superior room category. Set on the golden beachfront of the Cretan Riviera, Caramel Grecotel Boutique Resort echoes the spirit of a chic island settlement. Each room is individually decorated with hand-carved furniture and designer fabrics. All rooms promise a beautiful view, whether sea, garden or pool. The deluxe accommodation has been crafted to suit the needs of couples and families alike. Special class suites add modern comforts, premium amenities, separate sleeping areas and private bathrooms for families with children. 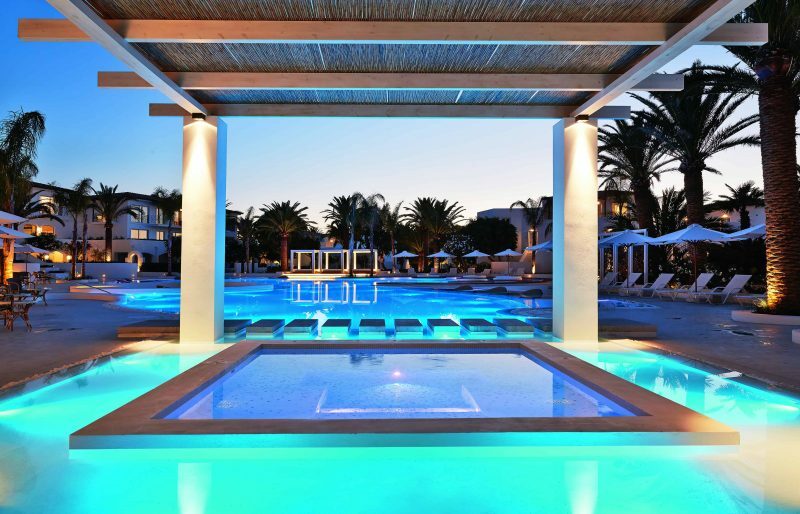 Cool Caramel Villas are the ultimate accommodation. They are designed as two, three and four bedroom villas on the beach with glamorous interiors and the latest conveniences. An outstanding choice for families and groups wishing to spend their holiday in unparalleled luxury. At Caramel, each day starts with a Grecotel-famous breakfast spread, fit for royalty. Ingredients are locally-sourced, organic and strictly seasonal. For lunch and dinner, Caramel’s main restaurant serves a gourmet buffet plus a wealth of international dishes. The resort’s gourmet a la carte restaurant opens up for dinner at the illuminated confetti pool. Guests can dig into delights ranging from the catch of the day to lobster spaghetti to fine Mediterranean selections. Anything in between can be found at the poolside Brasserie. Meals and snacks are made exclusively with Grecotel’s Agreco Farm products. Kids have special menus and a Tasty Corner where they can feast for free all day. 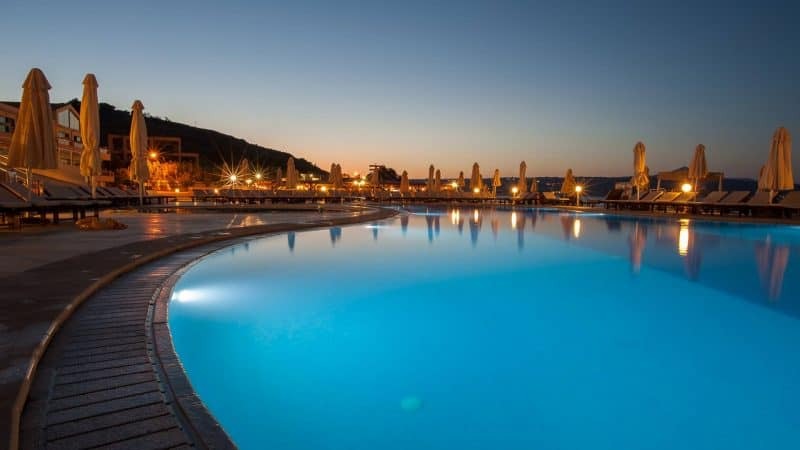 One of the best Crete family hotels. 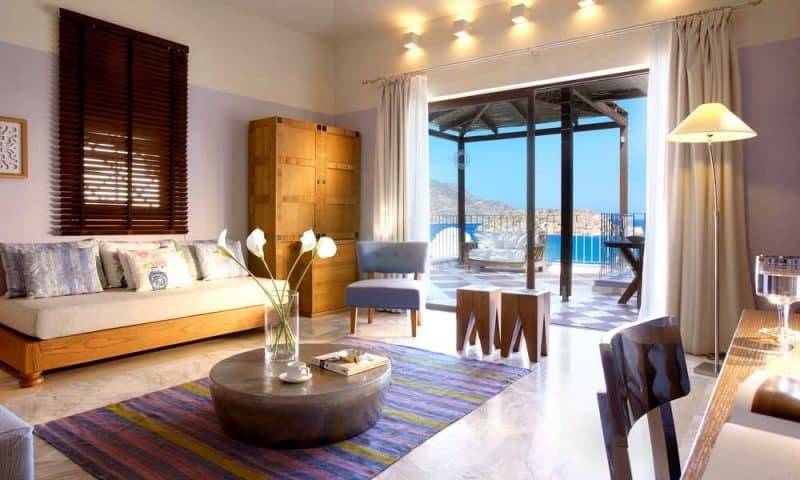 Domes of Elounda Autograph Collection, introduces The Core. The urban outdoor development has been created as a multifunctional space and lifestyle hub for guests to enjoy throughout the season. Retaining the boutique character and authentic Cretan hospitality for which Domes of Elounda is renowned, The Core set in green landscaped surroundings, offers an eclectic mix of Art & Design, Shopping, Wellness & Meditation, Culture, Gastronomy, Music & Entertainment and a dedicated area for Kids. Toddlers to teens will love the ‘food truck’ with its sweet treats, ice creams and waffles but also the ‘Eco Playground with its climbing walls, swings and slides plus a scoot and skate area with challenging ramps, bowls and rails. There’s a VR and Gaming Zone too, along with educational fun and quality family time activities including the Murals and Graffiti walls and a bespoke educational toy store. A Greek mythology i-museum will also be included, in partnership with an acknowledged Greek designer. 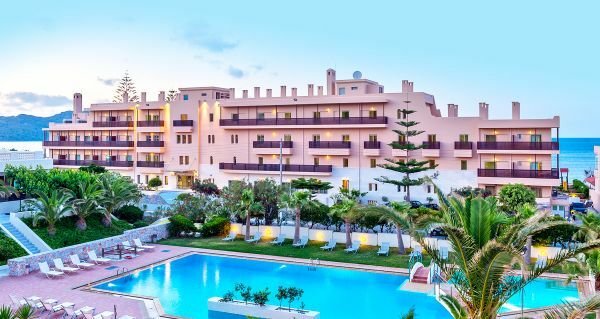 One of the best family hotels in Crete. Highlights include an open-air theatre and summer cinema, urban beach area for beach volley and soccer, outdoor yoga pavilion, pop up stores for shopping including luxury boutiques with fashion items from both Greek and international designers, souvenirs and handmade crafts plus international food and beverage outlets serving exotic street food, ice cream and waffles to drinks such as cocktails and coffee brands from around the world. Haute Living guests of Domes of Elounda will also be able to use their Dine Around allowance at the pop-up restaurants of The Core giving them an even bigger choice of dining options. As well as the extensive outdoor offerings, there will be indoor features too including a curated program of activities including workshops and courses all ages can enjoy. Apart from the scheduled activities, children can entertain themselves (parent supervision required) with the other facilities provided (snooker/pool table etc) up at the pool complex, beside the pool bar. The Children’s playground located near to the beach is a sectioned off area, with swings, slides, toys etc to entertain the younger ones. Entertainment / Animation for both adults and children is also specially arranged on occasion and features sports activities such as aqua aerobics and gymnastics, beach volley ball tournaments, fun games and action of the day events (theme days such as ‘pool party day’ and ‘Olympic games day’). Other children’s facilities include baby cots, a children’s swimming pool, high chairs at the restaurants and especially designed children’s dishes within our menus. Yes, I was surprised at how many luxury ones there are – I want to stay at them all!